Memphis Grizzlies General Manager Chris Wallace today announced that the team has acquired four future second round draft picks, center Chris Andersen and forward P.J. Hairston in a three-team trade with the Charlotte Hornets and Miami Heat. Andersen (6-10, 245) holds career averages of 5.5 points (.533 FG/.653 FT), 5.1 rebounds and 1.47 blocks in 17.8 minutes in 663 games (31 starts) over 14 seasons with the Denver Nuggets, New Orleans Hornets (now Pelicans) and Miami Heat. The 37-year-old owns postseason averages of 5.4 points (.644 FG/.692 FT), 4.8 rebounds and 1.26 blocks in 17.0 minutes in 69 games for Denver and Miami. A native of Long Beach, Calif., Andersen won an NBA Championship with Miami in 2013 and was instrumental in the Heat’s championship run, averaging 6.4 points, 3.8 rebounds and 1.10 blocks in 15.2 minutes in 20 games and setting an NBA postseason record by shooting .807 (46-of-57 FG) from the field. Hairston (6-6, 230) owns career averages of 5.8 points (.341 FG/.833 FT) and 2.4 rebounds in 17.5 minutes in 93 games (45 starts) in two seasons with Charlotte. The 23-year-old has averaged 6.0 points (.359 FG/.810 FT) and 2.7 rebounds in 19.5 minutes in 48 games (45 starts) for the Hornets this season. After leading the University of North Carolina in scoring as a sophomore, Hairston joined the NBA Development League and became the first D-League player ever to be selected in the first round of the NBA Draft when Charlotte drafted him 26th overall in 2014. He averaged 21.8 points (.453 FG/.358 3P/.870 FT), 3.5 rebounds and 1.50 steals in 32.3 minutes in 26 games (15 starts) for the Texas Legends and was named to the 2013-14 D-League All-Rookie Second Team. Lee (6-5, 200) has career averages of 9.7 points (.450 FG/.383 3P/.845 FT), 2.6 rebounds and 1.5 assists in 27.2 minutes in 572 games (332 starts) over eight seasons with the Orlando Magic, New Jersey Nets, Houston Rockets, Boston Celtics and Memphis Grizzlies. The 30-year-old averaged 10.3 points (.459 FG/.377 3P/.862 FT), 2.5 rebounds and 1.8 assists in 30.0 minutes in 177 games (158 starts) over parts of three seasons for the Grizzlies after he was acquired from the Boston Celtics on Jan. 7, 2014. A native of Indianapolis, Ind., Lee was selected by Orlando in the first round (22nd overall) of the 2008 NBA Draft following his senior season at Western Kentucky University. For more information on the Grizzlies, ‘like’ Memphis Grizzlies on Facebook or follow on Twitter and Instagram (@memgrizz). 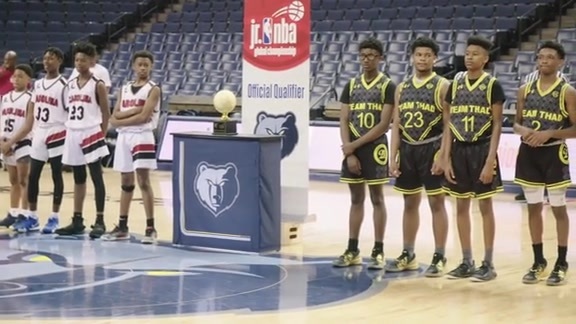 Fans who want to support the Memphis Grizzlies by purchasing Single Game tickets can do so by calling (901) 888-HOOP or going online to grizzlies.com.